Founded in 2001 by a partnership between the Oswaldo Cruz Foundation (Fiocruz) and the Government of the State of Paraná, the Molecular Biology Institute of Paraná (IBMP) is involved in applied research, technological development, innovation and industrial manufacture of products including molecular diagnostics kits for the Brazilian Unified National Health System (SUS). 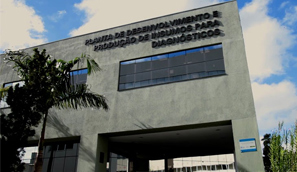 IBMP is currently supplies the amplification module of the HIV (AIDS), HCV (hepatitis C) and HBV (hepatitis B) NAT Kit to Bio-Manguinhos, the Immunobiological Technology Institute of Fiocruz. This molecular test assures the blood transfusion safety for the Brazilian blood donation network - over ten million blood bags have already been tested. During its 15-year history, IBMP has become a Science and Technology Institute, participating in the scientific and technological development of Brazil and supplying the public health network with safe, high quality products. Inaugurated in 2009, the Plant for Development and Production of Diagnostic Products is a result of IBMP’s involvement in the Economic and Industrial Complex of Health. Built in accordance with a strategic plan to nationalize new technologies in Healthcare, submitted to the Ministry of Health by IBMP, the facility comprises an area of 2,200 m2 of modern laboratories compliant with current Good Manufacturing Practices (GMPs), besides a 250m2 prototyping laboratory . The scientific and technological expertise of IBMP is due to not only its state-of-the-art laboratories and equipment, but mainly the highly qualified personnel that works in the Management, Production, Quality, Technology Development, Engineering and Logistics of the Institute. More than one hundred Masters and PhD graduated in the Institute, producing science of excellence and publishing numerous articles in scientific journals in Brazil and abroad. To develop, assimilate, share and provide healthcare technologies and products by conducting integrated activities of research, development and innovation aimed at creating solutions that contribute to the national dynamic of innovation in healthcare and the socioeconomic development of Brazil. To be the benchmark in the development of Biotechnology for Healthcare, acting with excellence, sustainability and entrepreneurship in the development, innovation and production of technologies, serving the population by improving its health, being renowned in the Brazilian society for consistently providing technology solutions that contribute effectively to the socioeconomic development of the country and that reduce the technological dependence in this sector.